At the Death Weapon Meister Academy, humans known as Meisters study. Each Meister have their own partner, which is a weapon capable of taking on a human form. The story follows three of these Meisters and their Weapon. They are Maka Alban and her weapon Soul Eater, Black Star and his weapon Tsubaki, and Death the Kid and his weapons Patricia and Elizabeth Thompson. 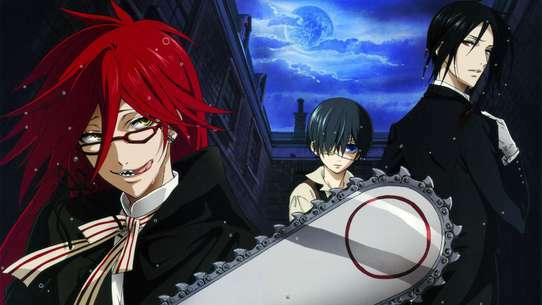 They attend school, do homework, fight evil souls, and most important, they try to help their weapons reach Death Scythe status, in which they are eligible for use by the leader of all the Meisters and Weapons, Death(The Grim Reaper) himself. #1 - Sink or Swim?! - The Men Who Exceed God? While everyone outside the barrier can only sit and wait anxiously, Kid and Black Star continue to battle Asura with almost no results. Determined to avenge his father and protect the world, Kid begins soul resonance with Patti and Liz, but he is stabbed by Asura and falls to the ground. Seemingly dead, Kid's eyes suddenly fill with a blue light and his soul becomes extremely powerful as he transforms Liz and Patty into a huge double cannon. Using his speed to his advantage, Black Star attacks Asura and Kid follows with a massive cannon explosion. With so much power however, Asura still stands, though he has changed form again. Meanwhile Maka is locked in a room with the demon disguised as Soul. However, Maka realizes he is a fake. Risking being devoured by the black blood, she decides to open a locked box to free the real Soul. She enters the box and is followed in by the demon, but she is able to reach Soul and save him from the darkness. Having lost control of the situation, the demon becomes small and Soul eats him in one gulp. The two of them return to the battle to find everyone else laying unconscious and Asura still undefeated. #2 - My Soul's Report - A Dry Heart in an Unbearable Solitude Among Us...? Riding through the halls underneath Shibusen in an attempt to catch up to Eruka and Free, Kid is stopped briefly when he reaches a field of bombs floating in the air. He’s disgusted by the lack of uniformity in the arrangement of bombs, and he only manages to get past after Patty authoritatively tells him to. Back down the long passageway, Maka uses her new-found power and fighting style to go toe-to-toe with Chrona, but the madness is literally overwhelming Soul. Inside of herself, the calm Maka uses this chance to match her soul wavelength with Chrona’s, and this brings her to a desert world where she finds a young Chrona. At around this same time, out in Death City, Blair is having no problems handling the members of the Mizune family. The witches, however, combine and transform into a single larger woman, so Blair transforms into her human appearance as well. Stein meanwhile is questioning what Medusa plans to do with Chrona once she revives the Kishin. Medusa replies that Chrona is useless and a failure since Chrona was raised without any independence, and her plan to throw Chrona away infuriates Maka’s father. At this moment, Maka is watching over a young Chrona who is in the desert world wondering what to do. Chrona draws a circle in the sand around herself to mark her own area, but she does nothing more than just sit down inside this circle until her shadow appears. The shadow starts asking Chrona about herself and tries to delve into how Chrona feels, but Chrona passes on answering any of the questions. The shadow eventually suggests that Chrona doesn’t know how to interact with others and can only repeat self-denials, and it decides that they’re at their limit, so it disappears. This leaves Chrona alone to think about how Maka had introduced herself before their battle, and that particular time, Chrona was able to answer with her own name. To Chrona’s surprise, young Maka suddenly appears. Chrona tries to prevent Maka from entering the circle in the sand and reveals that she feels secure when she’s in it since she can’t interact others, but Maka walks inside anyway and proceeds to erase the circle. This leads to Chrona to start screaming back in the real world, and her body goes crazy due to a rejection reaction. With Soul’s help, Maka is able to regain control of her body in the real world, and she then approaches Chrona without her weapon. Despite all the spikes shooting out of Chrona, Maka calms Chrona and hugs her. She now understands Chrona’s wavelength, and she feels that it’s not that Chrona doesn’t know how to interact with others - it’s that there was no one was close to her. Because of this, she asks Chrona to be her friend, and Chrona breaks down in tears. #3 - Black Blood's Resonance War! - Small Soul's Large Struggle to Oppose Fear? Since Maka wants to face Chrona, Black*Star rushes past and heads further down the hall. Maka immediately starts attacking Chrona, and although her punches have no lasting effect, she is happy to hear her opponents finally acknowledge her as more than just a meal. Chrona counterattacks by using her black blood as a weapon and then by performing a resonance with Ragnarok. Maka manages to withstand the onslaught and initiates a resonance of her own with Soul, and the two enemies face off with their respective powered-up weapons. 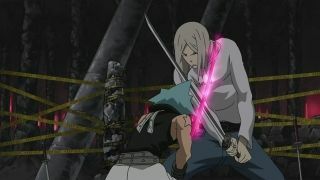 Unfortunately for Maka, Chrona is able to stop Soul with just her arms and furiously strikes back. With Maka now down and getting ever more fatigued, Chrona closes in for the kill. As she does so, Chrona wonders about Maka’s fear and recalls the baby dragon Medusa had forced her to kill a long time ago. Chrona hadn’t been able to do it initially, so Medusa had locked her up and let Ragnarok beat her. After this happened countless times, Chrona finally snapped and killed the baby dragon. 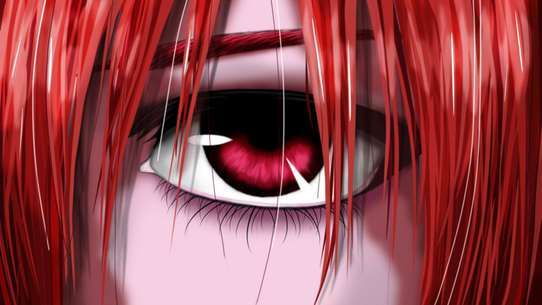 As Chrona now prepares to kill Maka, the red demon inside Soul tempts him again with the prospect of strength if he entrusted himself to the demon. Soul continues to resist until Maka suddenly appears in the inner world of his. She is able to do so because they’re in the middle of a soul resonance, and to Soul’s surprise, she actually wants to use the black blood the same way Chrona is doing. Since she’s determined, Soul finally decides to go through with it, and in the next instant, Maka is able to stop Chrona’s killing blow with just her arm. With a crazed smile on her face, Maka uses her new strength to fling Chrona into the ceiling while Soul struggles to stay in control. Unbeknownst to Soul, the red demon comments on how it is he who’s leading this. #4 - Battle of the Gods - Death City Collapse Crisis? As Maka continues to make her way towards the shrine, the newly revived Ashura gets himself adjusted into his skin. After opening his eyes and seeing Eruka in front of him, he terrorizes her with a scream before moving on. Black*Star wants Tsubaki to enter youtou (phantom blade) mode, and when she refuses because of his injuries, he decides to take on Ashura without her. He attempts to use his Big Wave attack, but Ashura isn’t fazed at all and knocks him out with a single flick of the hand. He knocks out Kid in a similar fashion by stretching out his skin like a rubber band and hitting Kid’s head with it. Ashura follows that up by using his skin as a wrapping and covering himself with it, effectively creating himself a set of clothes. He then jumps through the ceiling of the shrine and towards the surface. 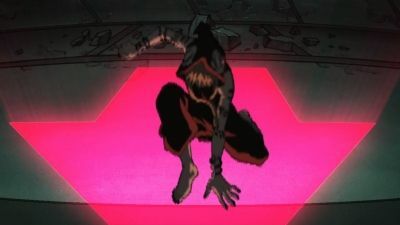 Maka arrives at this moment and manages to catch him by grabbing onto his skin, but when Ashura emerges above ground in the middle of Death City, she gets thrown off. Soul has to change back into his human form so that he can cushion her fall, and he can only watch everything that happens afterwards because Maka loses consciousness. Although Ashura has escaped, Shinigami-sama’s seal is still active and tries to restrain him, but he’s already too powerful. Fortunately, Shinigami-sama himself arrives on the scene because Free’s magic wore off. Ashura recognizes his old foe and comments on the changed mask, so Shinigami-sama explains that the old mask scared children. The battle between them begins after Shinigami-sama tells Ashura to die again, however neither a Shinigami Chop nor a blast wave attack have any lasting effect on Ashura. 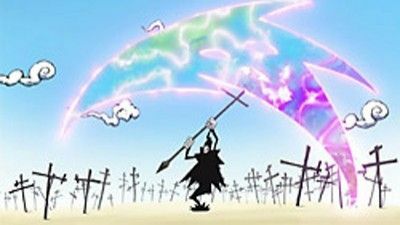 He counterattacks with two giant beams of energy, and although Shinigami-sama is able to defend himself, deflecting the beams causes much destruction to the city. Shinigami-sama then tries to meet Ashura head on, and after Ashura knocks him away, Shinigami-sama uses an ability that keeps Ashura pinned down. Ashura is able to call up enough power to dispel it though, and Shinigami-sama subsequently wonders if he can do this without Death Scythe. When Ashura counterattacks again with an attack called Vajra, he succeeds in piercing through Shinigami-sama’s defenses and destroys part of the mask. The end of the battle comes after Ashura takes advantage of the limitations of Shinigami-sama’s range in order to escape the area completely. In the aftermath, Shinigami-sama has Sid prioritize the safety of everyone who went underground, but he also wants Side to send out word to all Death Scythes to gather at Death City. Free, Eruka, and Mizune all escape, and though they think Medusa is dead, she’s actually got enough left in her to grab onto Stein and bite down on his shoulder. He manages to get her off of him, and after hearing her say that she loves him, he stabs her to finish her off. 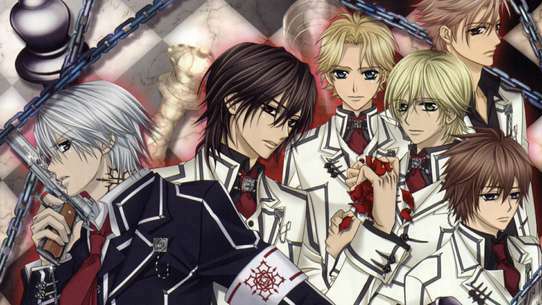 Stein believes that the two of them are similar in that it’s not possible for them to understand love. The following day, the residents of the city start to rebuild, but unbeknownst to everyone, a snake slithers out of a drainage pipe. 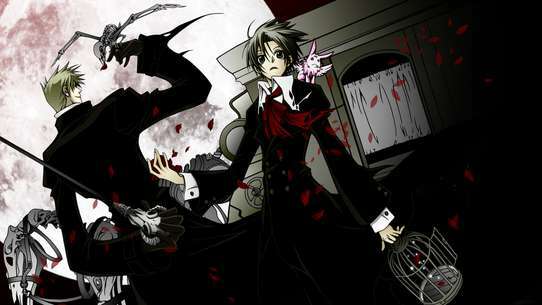 #5 - The Weapon (Death Scythe) Shinigami Had - Towards Uncertainty, Filled with Darkness? Upon being devoured by the Death City mecha, Asura lands in the Death Room, where he is confronted by Shinigami and Death Scythe. Meanwhile Black Star, Tsubaki, and an injured Mifune find Angela in Baba Yaga's Castle. Shinigami and Asura begin to battle while Kid, Azusa, and Excalibur observe. As they fight, Asura begins to explain why he does what he does. He believes that all fear in the world is the result of people's imagination. Asura claims to no longer imagine, and plans to end all fear by spreading madness and preventing people from imagining again. Shinigami disagrees with him, and declares that he is this world's guardian. Shinigami appears to have the upper hand until Asura fires a large blast from Vajra at Kid and Azusa. Shinigami blocks the blast with his body and is gravely injured. Excalibur rebukes Asura who stands over Shinigami until he begins to have strange spasms and goes back to Arachne. As she embraces him, he kills her, saying he feared her, and devours her soul. #6 - Bravery? Bloodshed? - Decisive Battle, Mifune vs. Black Star? As Mifune fights with Black Star, he counts how his father was strong, but chose the wrong path and he was forced to kill him, and he asks his opponent if he's going to choose the path of the warrior or the path of a demon. 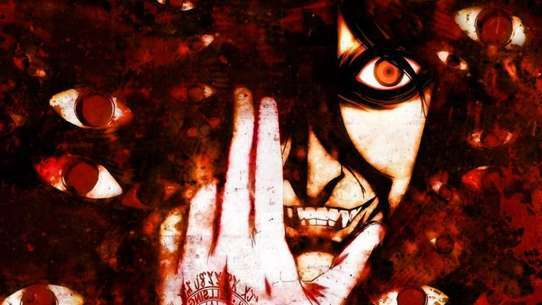 Meanwhile it is revealed that the key to operate Brew is the soul of Eibon itself, who happens to be one of eight warriors of Shinigami, and who his willing to cooperate to deal with Asura. Arachne decides to leave her organization behind by putting into operation several weapons that the Baba Yaga's castle had prepared. Returning to the battle, Black Star refuses even to listen to Mifune, who, seeing no possibility of change for his opponent decides to finish it in one fell swoop, killing Black Star. Eibon finally put Brew function to work: make real the most desperate desire of one's heart. #7 - The Miracle of Overturning a Table in Anger - Our Death City's Robot? Black Star revives, declaring that he will take the path of neither the warrior nor the demon, but will instead take his own path. He defeats Mifune with one swipe; however, he does not kill him, but instead invites him to be a teacher at Shibusen. They then go off to find Angela. Meanwhile, Eibon uses a key created from his own soul to activate Brew, which has been revealed to grant the desires of whoever uses it. 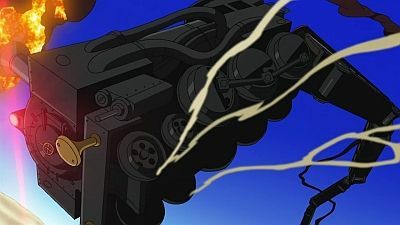 Shinigami uses the Demon Tool to transform Death City into a giant robot, and swiftly enters the battle. After attempting to squish Baba Yaga's Castle to little success, it manages to reach inside of it, grab Asura, pull him out into the open and "eat" him, apparently trapping him inside the city. #8 - Dead or Alive! - Revival with Interim of Illusion? Knowing that he’s running out of time, Stein wants to defeat Medusa quickly, but she’s hard to catch off guard. Medusa is simply fighting to buy time, and in order to beat her, Stein has to refocus himself. She tries to tempt him again to join her, but Stein lets himself go wild and explains the madness and fear inside of himself - what he needs is the order granted by an ego-less god. Medusa eventually stabs Stein in the gut, and from that, he counterattacks with his signature Kon-i attack. Though greatly injured, Medusa thinks she has won because she’s in position to cut off Stein’s head with her Tail Snake. She is thus surprised when she suddenly freezes in place, unable to move at all. The reason is because Stein had used one of his suture techniques on her entire body. Unfortunately, Stein can’t do anything else until he releases those strings, and Medusa knows that once that happens, her Tail Snake would behead Stein faster than he can kill her. Meanwhile, Eruka prepares the black blood for the Kishin, and when she gets interrupted by Kid, Free protects her. Both Kid and Free come under the effect of the madness of Ashura, but both are able to get out of it, and Kid ends up keeping Free occupied while Black*Star arrives and goes after Eruka. After a brief struggle, Eruka manages to stick the syringe needle into Ashura’s bag, however Black*Star uses everything he’s got to break the syringe, spilling the black blood everywhere. Back in the tunnel, Stein knows that his chances of success are very low, and right as he decides to take a gamble, the entire place starts shaking. 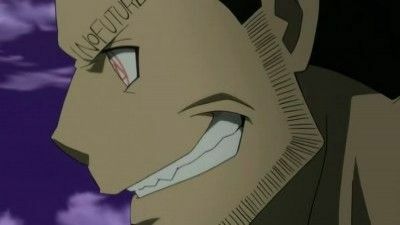 He and Maka’s father both can sense that the Kishin has been revived, and as it turns out, Black*Star hadn’t succeeded in breaking the syringe - he had merely hallucinated that he did. The success of Ashura’s revival causes Medusa to laugh and declare this as her victory, but Stein uses this very moment to release everything and strike. He succeeds in slicing her in half, and as the lower half of her body explodes into a rain of blood, Stein comments on how he got his chance when she felt a sense of achievement from the Kishin’s revival. He grimly notes the irony in how he won because of the Kishin, yet in the end, the Kishin’s revival is his defeat. Having said that though, he’s then laughs over how refreshing this is. Over at the shrine, nothing Kid does can stop the revival. Ashura soon begins to emerge and wears the bag as his skin, smiling in the process. #9 - Sword Saint Rises - A Sweet or a Salty Taste? While Maka is still recovering, Sid gets word from Azusa about a research facility belonging to Arachne’s Arachnophobia organization. Sid and Nygus go to investigate the magic tool that’s being built, but Black*Star overhears them discussing the situation before they leave, and he secretly decides to go as well to get revenge for what happened to Maka. 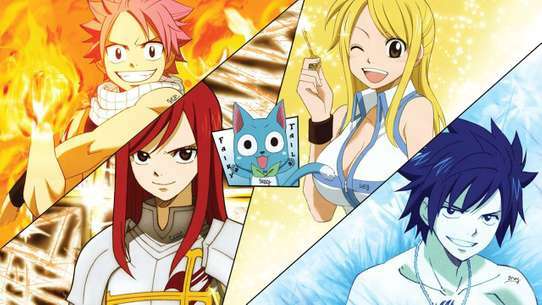 Unbeknownst to Black*Star, Angela and Mifune are at the research facility along with Mosquito. Sid arrives there first though and sneaks in with the help of Azusa’s special ability to map out an area. The alarms go off while he’s inside, but it’s not because he’s been discovered; it’s because Black*Star has arrived and is creating a commotion by beating up guards. Mosquito, Mifune, and Angela all head out to see what’s going on, and the latter two immediately recognize Black*Star. With Mosquito holding Angela close, Mifune has no choice but to fight the opponents he still considers to be children. After tossing all his swords onto the battlefield, Mifune charges at Black*Star, and despite his love for kids, he refuses to lose to the same opponent a second time. Black*Star has Tsubaki transform into a kusarigama, but Mifune avoids all the sweeping attacks and uses his swords to pin down the chain. 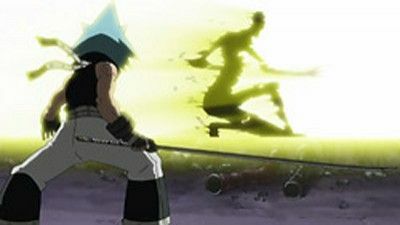 Acting quickly, Tsubaki changes into her smoke bomb form and saves Black*Star from Mifune’s subsequent attack. As Black*Star then has Tsubaki go into her youtou mode, Mosquito realizes that Tsubaki is descended from a weapon that Arachne made. 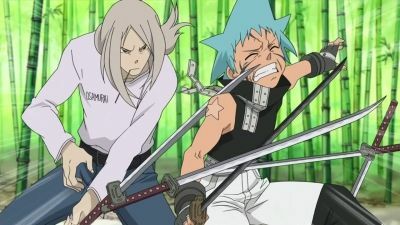 Regardless, Black*Star brings the full force of his powers down on Mifune, however Mifune is able to block everything and counters with a technique that involves hitting his opponent with more and more swords. He uses twelve in total on Black*Star, multiplies the hits by two, and wins the fight in this manner. Afterward, he informs Tsubaki that Black*Star’s wounds are shallow and tells her to take him away, but Tsubaki first questions why a samurai like Mifune is working for a witch. She tries to appeal to Mifune’s gentle side and suggests that someone like him could become a teacher at Shibusen, and although Mifune is tempted, he knows that he can’t take Angela with him to Shibusen. The most important thing to him is to protect Angela, and he recalls how he had saved her from the mafia. When Mosquito orders him to finish off Black*Star, Mifune has no choice but to do it because he knows that Angela would get no rest in a human society, and so she needs Arachnophobia’s protection. Fortunately for Black*Star and Tsubaki, before Mifune can kill them, he’s interrupted by Mosquito getting sniped and part of the facility exploding. The persons responsible are Sid and Nygus who had earlier taken pictures of the morality manipulating machine that was being built before laying down some dynamite. 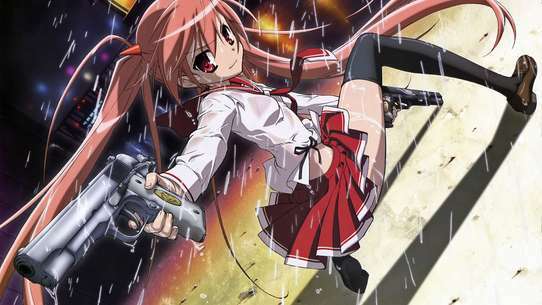 Sid is currently using Azusa in her weapon form to do the sniping, however Mifune blocks the next shot, and Mosquito survives by sucking the blood out of an underling. In light of all this, Mifune turns to leave with Angela and Mosquito, and when Black*Star tries to stop him so that they can settle things, Mifune advises Black*Star to be patient. He suggests that Black*Star move forward and understand the other existence inside of Tsubaki - if Black*Star does so, then Mifune thinks that the youtou will respond. Mifune also tosses Black*Star a piece of candy to give to the friend who suffers from the curse since Tsubaki had earlier told him about how they wanted revenge for Maka. In the aftermath, Black*Star returns to Shibusen and gives Maka the candy, but she finds that it tastes of konbu. #10 - Asura's Awakening - The Arrival of the World's End? 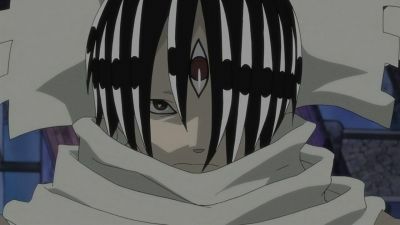 Asura, being injured from the battle with Shinigami, begins to put up a barrier around himself preparing for a deep sleep. Before the barrier closes, Maka, Black Star, Kid, and their weapons are the only ones able to get inside. Having devoured Arachne's soul, Asura grows tremendously in size and strength. When the fight against Asura begins, they do not appear to be injuring him, but Kid thinks they are as the barrier is weakening. They start a chain resonance with Soul playing the piano, but when Maka is about to perform Demon Hunter, Soul pushes himself too far and is devoured by the black blood. 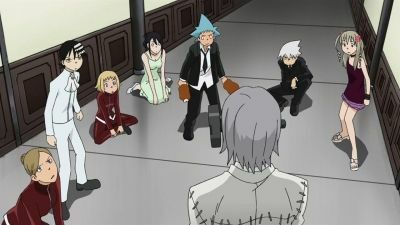 With Soul, the only one who can help them do a chain resonance, down for the count, Maka goes to bring Soul back, with Black Star and Kid protecting her. #11 - Demonslayer's Wavelength - Fierce Attack, Hatred of the Demon Hunter? Maka, Soul, Marie, and Crona continue their battle with Medusa and Stein, but are being overwhelmed. Marie asks Maka and Crona to concentrate on Stein, which gives her the chance to use the Wavelength of Redemption. Medusa uses the lull in combat to target Maka with an attack. Crona pushes Maka out of way and takes the full force of Medusa's attack. Crona is greatly injured by Medusa's vector blade. Maka is consumed by the madness and attacks Medusa with full force, and disarms her; before Maka can land a fatal blow, Stein protects Medusa, and this finally provides the opening Marie needs. Using the redemption wavelength, Marie saves Stein. Maka uses her demon hunter wavelength to defeat Medusa and save Rachel. Black Star finally reaches Baba Yaga's castle to battle Mifune. #12 - Man's Demon Eyes - Soul and Maka, the Gap of the Soul's Wavelength? 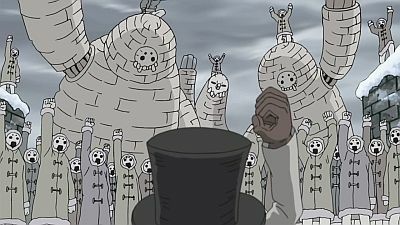 Eruka frees Free and he quickly takes down a hoard of guards before escaping, revealing that he is immortal. 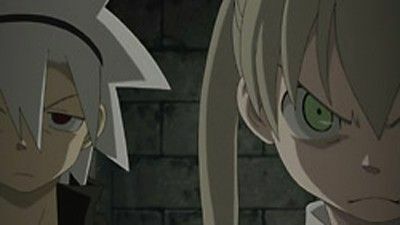 Meanwhile, Maka and Soul attempt to grow stronger through Stein's training method, starting by insulting each other, which causes great tension between the two. Maka, Soul, Black Star, and Tsubaki travel to London only to run into and face Free, who further reveals himself to be capable of ice-based magic and is a werewolf. 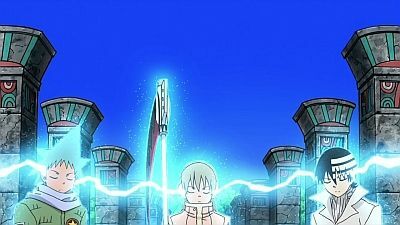 Black Star exhausts himself early on using the new Fey-Blade mode of Tsubaki, while Maka cannot initially use Soul due to their disagreeing wavelengths. She eventually fights past the pain of wielding Soul and, with Tsubaki's advice, the two reform their bond and are able to merge their soul wavelengths. 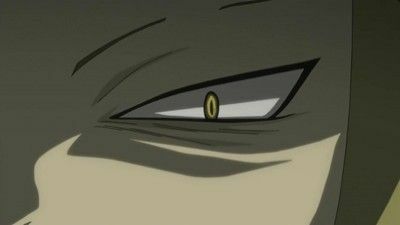 While merging, Soul nearly consumes Maka but regains control of himself. The two manage to break through Free's defenses and Maka charges him into the river. With Soul and Black Star's help, she is saved from falling with him, while Free unwittingly freezes himself and sinks. The four begin to leave while Maka coughs up some blood into her hand, only to discover that the blood is black. #13 - Nightmare at the Night Festival - And the Act Rose Up? Since no one knows of what Sid discovered, all the students and faculty are attending a party celebrating the founding of Shibusen. Meanwhile, Medusa is communicating telepathically with Eruka when a seemingly drunk Stein interrupts her thoughts. Stein wants to dance with her, but once they start, he becomes more serious and asks her if she knows what happened to Sid. Medusa realizes that she has been found out by his words and tries to tempt Stein with a kiss, however, they are stopped by the sudden appearance of Sid that, even injured, warns everyone to get out of there quickly. Stein is concerned about Sid long enough for Medusa to escape from the party. Free charges, but Sid is able to use his last bit of strength to use a special burial technique that causes the main characters to fall through the floor, escaping the trap. Free tells Medusa that he can only keep up the Independent Cube he casted for one hour, and Chrona and Ragnarok then bring the Mizune family to attack Death City. Stein quickly fills everyone in about Medusa's plan and tells them that their souls have to decide if they are ready to go with him and fight against fear. No one backs down. #14 - Underground Battle Starts - Breakthrough, Medusa's Vector Arrow? Sid and Shinigami discuss Medusa's evil plan. Shinigami explains the origin of the kishin Asura and how it developed into such a dangerous being. The group of Mizune are attacking Death City, without holding back, as Blair walks on the roofs. As she sees all the citizens injured, she is ready to engage the witches. The group underground suddenly stops, as they find Maka's father. He turns into Stein's weapon, and everyone is ready to fight. They find Medusa, and Stein creates a battle plan to find the kishin and go through all of Medusa's allies. Medusa deploys her Vector Arrow, and Kid is the first one to escape and go on. Black Star deploys the Demon Blade mode and escapes as well. 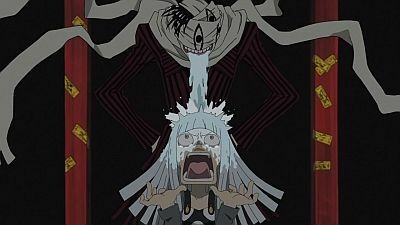 Even Maka is able to go through Medusa, but the witch is not happy and goes after her. Stein will not let it be that way though, and stops her. The stage is set for Medusa against Stein and Death Scythe. As Stein backs Medusa into a corner, she counters with her Vector Arrow, and is able to surround him with her magical arrows. Black Star reaches Chrona, but Maka, who arrives next, convinces him to let her fight in his place. #15 - The Shuffled Cards - Medusa Surrendering to Shibusen? To win Shibusen's trust, Medusa reveals the location of the real "Brew", and proposes to give information about Asura's whereabouts in exchange for her freedom and protection of her peers. 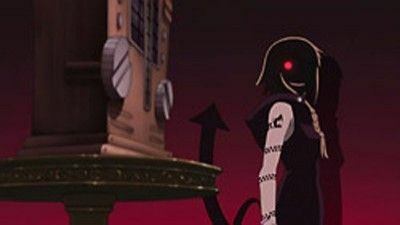 When Arachne moves on with her plan to spread the kishin's madness throughout the world, Shinigami decides to accept the deal. Marie later discovers that Stein is nowhere to be found. #16 - 800 Year Old Murderous Intent - The Heretic Witch's Descent? Stein’s research leads him to the theory that a certain heretic’s soul is inside the old golem. In the process, he finds a report about an incident in the Czech Republic where half a million people saw mysterious illusions that looked like spiders, and this causes him to conclude that the heretic scattered her body 800 years ago and left her soul in the golem. This heretic was the witch Arachne, and realizing makes Stein want to go help Maka and the others, but Shinigami-sama urges patience. Arachne is the mother of magic weapons, but creating one required the sacrifice of a witch’s soul. 800 years ago, she had been pursued by Shinigami-sama and had escaped into the old golem’s chamber. Back in the present, Maka and Crona are having a hard time dealing with Giriko and the golem, and Maka finds herself unable to move her body after getting sprayed with a special silk. Spiders then appear all around them and combine to form Arachne’s body. 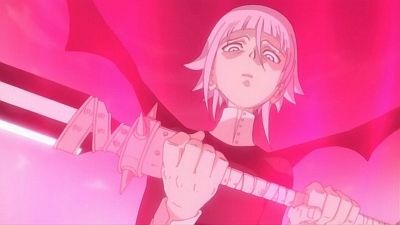 Crona vows to protect Maka, however Crona is no match for either Arachne or Giriko. Crona is nearly finished off by Giriko, but fortunately Justin Law appears and saves the day. Justin is special in that he became a Death Scythe at a young age without a partner, and he’s able to fight Giriko on even ground. Right as Giriko is getting really pissed off, Arachne decides to retreat, and Justin is subsequently forced to deal with the golem instead of chasing after Arachne and Giriko. After watching Justin behead the golem, Soul is awed by how this man is a weapon just like him, yet so much more powerful. 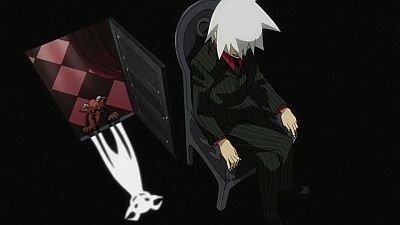 Since Maka is still unable to move, they bring her back to Shibusen in the coffin attached to the back of Justin’s car. Arachne and Giriko meanwhile meet up with a small old man named Mosquito, and he drives them to her old stronghold where her men are waiting. #17 - BREW Contest! - Clash, Shibusen vs. Arachnophobia? BREW exists on a lost island north of Alaska where there used to be a witch’s tool development facility before it got destroyed from an accident. That accident resulted in a special magic magnetic field in the center of the island - BREW is inside of there - and staying in that magnetic field for longer than 20 minutes will result in a person’s body getting destroyed. A small army of Shibusen students and staff are already headed towards the island, and the plan is to have Sid’s force take care of the Arachnophobia forces while Marie, Stein, and the students head for the magnetic field. Once there, Marie and Stein will head into the field while the students stand by outside until the two return. Things start out according to plan, however Sid’s force is soon ambushed, and Sid finds himself facing off against Mifune. Justin is also on the island, and he manages to crash an avalanche into Giriko’s force, but since Giriko himself isn’t affected, the two prepare to fight. Stein and the students meanwhile have made their way to the edge of the magnetic field, and Stein tells the students that if he and Marie aren’t back in 20 minutes, then they should signal a retreat. As the students start to get antsy waiting, Maka is suddenly unable to feel Stein and Marie’s soul responses. She suspects that something is happening inside the magnetic field, but before the group can decide whether or not to go inside to find out what’s going on, they’re attacked by an Arachnophobia force. With this turn of events, Ox, Kilik, and Kim decide to stay behind to fight while Maka, Kid, and Black*Star enter the magnetic field. Once the latter three emerge on the other side, they find themselves no longer surrounded by snow. They are instead now in a jungle-like environment with a step pyramid towering in front of them. What’s even stranger is that they see Shinigami-sama flying towards the step pyramid, and he’s wearing his old mask from before Shibusen was founded. Because of this, the three of them head towards the pyramid, unaware that they’re being followed by a pack of mice. While this is going on, Sid’s battle with Mifune intensifies, and after Sid tries to dig away through the snow, Mifune fires off a barrage of swords at him. Although Sid manages to take some cover, one of the swords has wounded him in the side. Back inside the magnetic field, Maka, Kid, and Black*Star watch as blurry images of witches leave the pyramid because they saw Shinigami-sama. This leads to Kid theorizing that the magnetic field somehow caused the situation from before the accident to get imprinted onto this place. What he questions is if what happened was really an accident since they saw Shinigami-sama heading towards the pyramid and the witches leaving. Maka’s attention is then turned to one of the witches nearby: Arachne. 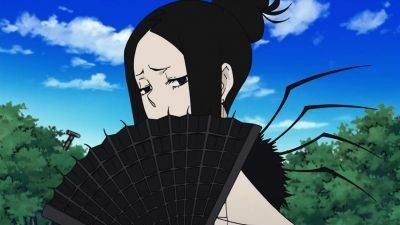 Her men have Eibon’s blueprints, and Arachne comments on how they lured Shinigami-sama here and how they’re going to blow up the facility. The real Arachne is currently back in her own lair getting a report on the progress of the battle. She kept BREW from Shinigami-sama for 800 years by destroying the facility, but she knows that Eibon’s greatest masterpiece BREW wouldn’t have been destroyed by such an explosion, and she’s determined to get her hands on it. #18 - Fierce Fight at the Ghost Ship! - The Hell in my Head? Death the Kid wastes no time in starting his attack on Chrona. Liz observes that Chrona's attitude towards fear is like how the sisters were before they joined Kid. The fight gets interrupted when the captain of the Nidhogg fires the ship's cannons, Chrona cutting the ship in half in retaliation, and the ship starts to sink. Chrona and Ragnarok make their escape, and Kid tries to give chase, but they are able to get away. Back at Shibusen, Medusa reports to Maka that her blood test came back normal. She gives Maka some weird medicine that will speed up the effects of the black blood and reveals to Maka that Soul had come to her about his dreams. This makes Maka angry because he had not told her about it. The tension builds between Medusa and Stein when Medusa tries to find Maka's file so that she can figure out why the black blood is gone. That file is missing from her cabinet because Stein has it. Stein lets Sid and Sid's weapon Mira Nygus go investigate Medusa's warehouse. Sid finds the place filled with experimental materials and realizes that Medusa might try something tomorrow on the eve of the festival. Before he can leave to bring this news to Stein and Shinigami though, Sid gets caught in an explosion set by Eruka. #19 - Witch Medusa! - Great Evil Possessing One's Soul? Just when Maka and Soul are about to be killed by Chrona, Stein and Death Scythe appear to save them. By combining their strength, the duo have some trouble against Ragnarök's ability to transform every bit of its blood into a weapon, but in the end Chrona is defeated. The witch observing the fight reveals herself and rescues Chrona, while the others return to Shibusen in order to treat Soul's injury. Stein tells Maka that the treatment was successful, but he confesses to Death Scythe that Soul's body was infected with a demon weapon's blood, and his future is uncertain. In the end, Maka is comforted by Tsubaki and Medusa, a teacher in the school who is in fact the witch who attacked them. #20 - Coward Crona's Determination - For You, Who Are Always By My Side? Maka and Soul try to seek out Crona and Marie via Maka's Soul Perception ability to find Medusa. Meanwhile, Crona and Marie manage to find Medusa's hide-out and battle with her and a maddened Stein. 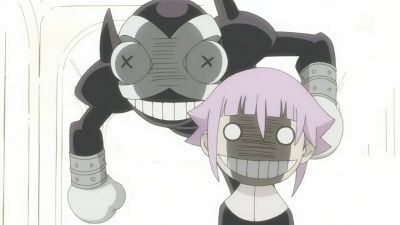 While Crona struggles in the battle with Medusa, and is about to be killed, Maka and Soul jump in and block the attack. Black Star continues to advance to Baba Yaga's Castle. #21 - Happy and Embarrassing School Entrance Experience! - Shibusen's New Life Aid Fair In Session? Since Sid has no luck talking to Chrona, Maka and Marie bring Chrona out of her room to show her around the school. Chrona, however, doesn’t think that she’d do well here, so Maka suggests composing some poetry. Unfortunately, Chrona’s poetry turns out to be so dark though that it depresses everyone who reads it. 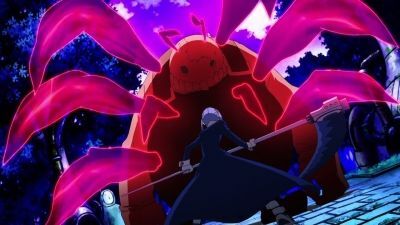 Chrona then joins Maka in on an extracurricular lesson to a golem making village where an old golem has suddenly gone berserk. When Shinigami-sama learns out about this, he finds it alarming because golems are programmed only to protect, and he suspects that it might have something to do with the wavelength of madness. He tells Sid to contact Stein about this because he’s curious about Stein’s opinion about the matter. At around this time, Stein is off thinking about Chrona when he gets visions of Medusa telling him that he’s been infected with madness. It starts completely overwhelming his thoughts until Marie finds him and asks him about the golem incident. Returning to normal, Stein explains that golems aren’t programmed to destroy things, and though recent technology allows other programming, the golem in question is the oldest one. However, Stein doesn’t think that this incident has to do with the wavelength of madness either because the order is all wrong: people should be the first affected, not a soulless golem. With all this in mind, he heads to the library to try to figure things out. Maka, Soul, and Chrona meanwhile have arrived at the village, but they discover that none of the people there want to tell them anything. They eventually meet a man named Giriko who offers to show them where the oldest golem is. That golem does indeed eventually appear, and Maka is shocked when she senses that it has a soul wavelength. What’s even more surprising is that Giriko is a weapon with a grudge against Shibusen, and he transforms into a chainsaw for the golem to use. Maka has a hard time going up against the golem on her own because of their difference in mass, but luckily, Chrona and Ragnarok are there as well, and after some negotiating with Ragnarok, the two are ready to fight. #22 - Release, Seven People's Resonance Chain! - Concert of Creation and Destruction? While everything else is going on, Justin and Giriko are having a private battle in the snow. After getting a little beat up, Giriko decides to run and distracts Justin with snow copies of himself. Meanwhile, the Mizune sisters report their success back to Eruka outside the magnetic field. Inside the field, the demon inside Soul is urging him to start playing the piano, and when Soul finally does, everyone can immediately feel the effects. The resonance link allows Maka, Black*Star, and Kid unprecedented coordination, and Mosquito barely has time to defend himself. Soul then directs each of the three to use their strongest attacks in succession, and Black*Star and Kid cause Mosquito to lose his arms. When it’s finally Maka’s turn, she transforms Soul into a form that surpasses the Majou Gari (lit. witch hunter): the Majin Gari (lit. demon hunter). This easily slices through Mosquito, but unfortunately, Mosquito detaches his head and escapes before the rest of his body explodes. Kid wants to give chase, but Soul knows that they can’t because they’re out of time. He realizes that unlike them, Mosquito can keep transforming himself younger and buying himself more time in the magnetic field. This leaves the trio no choice but to withdraw without BREW, and they meet up with Kilik and Ox on the way out, right as the image of the pyramid explodes. When the group emerges from the magnetic field, Marie looks ready to slap them, but she ends up hugging them instead out of relief. They are then found by Sid and the others, and Maka reports back to Shinigami-sama as they all head back home to Shibusen. Mosquito meanwhile makes his way back to Arachne and nervously reveals to her that after 800 years in the magnetic field, BREW has stopped functioning. She doesn’t mind though and points out that Shibusen doesn’t know that it’s broken, so she can bluff and threaten them. What neither Arachne nor the Shibusen group realizes is that the real BREW was taken by the Mizune sisters and Eruka for Medusa. They had switched it out for the broken one, and Medusa is confident that her sister won’t figure out that she got a fake. As for the Shibusen side, Medusa had used the snake inside of Marie to bring out the madness in Stein. And now that she has her hands on BREW, Medusa wants everyone - including the Kishin - to watch what she’ll do. #23 - Seal's Shrine - Immortal Man's Mechanism Setup? With Chrona still bawling, Maka is reluctant to leave her alone until Ragnarok appears and starts bullying her. Chrona gets Ragnarok to stop by punching him, but this only causes Ragnarok to turn his bullying back on Chrona. Since Chrona is handling Ragnarok, Maka and Soul are content with going on ahead. Much further down the tunnel, Kid is close enough to the Kishin that he can now feel its soul wavelength, and it nearly overwhelms him at first. He’s okay though and explains to Liz and Patty how his father had sealed Ashura in a bag made of Ashura’s own skin. Shinigami-sama had extracted all of Ashura’s blood before doing that, so Ashura’s body is starved for blood. Shortly after this explanation, Patty suddenly senses a heat source coming at them, and Kid just barely manages to get out of the way of the blast. The person responsible is Free, and Kid is forced to face off against the werewolf. However, even his Death Cannon attack has no effect on Free, and to make matters worse, Kid finds himself unable to concentrate on the task at hand. Fortunately, Black*Star catches up and literally knocks some sense into Kid. Black*Star quickly engages Free in close quarters combat, and while this is going on, Kid notices something strange: Free is trying to avoid Black*Star’s attacks whereas he didn’t make that effort moments ago. When Kid figures it out, he steps in between Black*Star and Free and proceeds to walk right through Free. Since the secret is out, Free reveals that this is a magic he’s using called Forwarding Vision which allows his image to be projected to a different place. 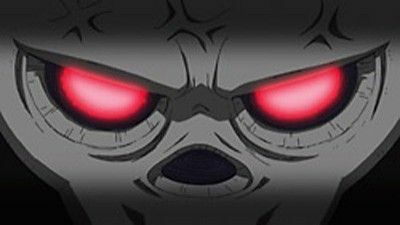 The real Free is still with Eruka moving further down the tunnel towards the Kishin. 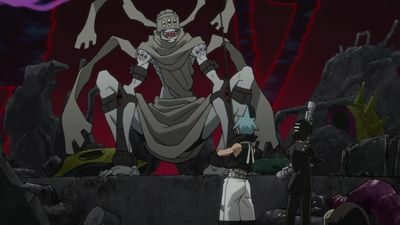 Because of this, Black*Star and Kid continue their pursuit, but by this point, Eruka and Free have reached the shrine where the Kishin is being held. The inside of it creeps Eruka out, and she keeps thinking that there’s something moving behind her. It unnerves her, and when she turns around again, she finds Ashura in front of her. He rips off and consumes her face, and Free hears Eruka screaming behind him. When Free goes back to check on her, her face changes, and she drives her arm through Free’s chest before ripping the skin off Free’s neck and face. Free and Eruka regain control of themselves a moment later and realize that it was all an illusion, but at the same time, Eruka had almost driven a nail through her own neck,and Free was in the process of cutting off his own head. This is the Kishin’s madness at work, and they’re very close to the bag holding Ashura. #24 - Red Hot's Wildly Run Special Express! - The Demon Tool Left Behind by the Great Demon Guru? Death the Kid, Liz, and Patti have arrived in the Sahara Desert to go after a special train that has run without stopping for 100 years. It does so through a demon tool that Arachnophobia is now after, and their job is to prevent this and recover it themselves. When they arrive at a train station in the middle of the desert, there is already someone there, but this person doesn’t say anything to Kid or the girls. The train soon arrives on time, however the way it arrives is by bursting out the sand. An agent of Arachnophobia named Fisher King immediately grabs onto it and gets on, and Kid is further surprised when the other person at the station - Mizune - suddenly cancels her Soul Protect and flies after the train. Realizing that he’s being beaten by Fisher King and by a witch, Kid races after the train with the girls in their gun form. As Kid catches up, Fisher King starts shooting at him, but luckily for Kid, Mizune then starts bombing the train. This gives Kid the chance to get closer to the train and have Patti shoot inside, but right before Patti can fire a well-aimed shot, Kid does a 360-degree kickflip and then a 3600-degree no-hander because he feels that it’d be rude to the desert not to do tricks out there. The result of this is no shot by Patti against Fisher King, but Kid does manage to land on top of the train. After Mizune tries to bomb him, Kid enters the train, but by this point, Fisher King is already one car ahead and is separating the train. Mizune’s subsequent whisker attack forces Fisher King to dodge by jumping, but he jumps back onto the train car that’s being left behind. When Fisher King uses his hook weapon to grab onto and get back to the main train, Liz, Patti, and Kid grab onto him and go with him. All four go crashing into the train car that’s still connected to the locomotive, and a firefight then begins between them. Kid isn’t able to get a chance to attack until Mizune uses her whiskers to slice apart Fisher King’s weapon, and he ends up kicking Fisher King into the locomotive. This is where the demon tool is, and Kid uses this spot to finish Fisher King off. After Kid takes out the giant key - causing the train to stop - the defeated-but-not-dead Fisher King reveals that this tool was created by Eibon. Kid thinks that Eibon is just some evil guy, but Fisher King mysteriously claims that Eibon and Shinigami-sama are the same. This anger Kid, so Fisher King directs him to open the box that the key was stuck in. Inside, Kid is shocked to find a plate signed by Eibon and by Death - his father. Before Fisher King can tell Kid any more though, a knife flies out of nowhere and kills him. The knife was the doing of Sid, and he and a whole force are here to take over the operation. Having overheard much of the conversation between Fisher King and Kid, Mizune subsequently escapes, and after handing over the tool to Sid, Kid returns to Shibusen. He’s very disturbed by what he learned though, so he immediately goes to the library to see what he can find about Eibon. When he inquires with the librarian about getting books on Eibon that require a high level of clearance, he’s forced to use his status as Shinigami-sama’s son, but even then, he’s unable to get what he’s looking for. The librarian informs him that there’s one book about Eibon, but it was borrowed two months ago and never returned. The person who borrowed it only left an “M” when he or she signed it out, and Kid quickly figures out that this M stands for Medusa. #25 - Resonance Chain - Playing the Soul's Melodies? Though Stein is having more flashes of madness, he tells Shinigami-sama not to worry about his health. Shinigami-sama has summoned him today to talk about how Arachnophobia has discovered the location of one of Eibon’s tools called BREW. Shinigami-sama foresees a big battle and urges Stein to get the students trained up to handle it. Stein thus takes the class out to practice, but before the lesson begins, Black*Star does some private training where he attempts to understand the other existence inside of Tsubaki. This leads him to an encounter with a giant beast who asks him about seeking power, and Black*Star answers that it’s so that he can surpass God. The beast, however, sees Black*Star more as an ogre. After waking back up from this vision, Black*Star joins Maka and Kid to practice their team soul resonance. Explaining the situation to them, a very serious Stein warns them that if they don’t pass, then they’ll be removed from his class. Maka feels the need to tell Black*Star in particular to do this properly, but he insists that he always does. Despite this, the trio fails multiple times, and Maka gets frustrated because it’s Black*Star each time that she and Kid can’t seem to link up with. She starts arguing with him, but Kid steps in between them, and Stein decides to give them a break to cool down. Stein himself is going through another episode of madness when Maka comes to talk with him and brings him out of it. Maka wants him to remove Black*Star from the team, but Stein points out that she’s the one who’s quitting the team. When she tries to make the case against Black*Star, Stein questions if she wants to limit Black*Star’s power and makes the point that Black*Star is their team’s best attacker. He thinks that she has misunderstood the soul resonance link and urges her to feel the essence of it more. However, when Maka returns to the others, Black*Star accuses her of tattling to Stein and being selfish. This infuriates Maka, and she tries to punch him, but he just flips her on her back. She gets back up and tries to punch him again, and this time, he lets her hit him and questions afterward if she’s satisfied. He warns her that any further and it’d be a duel, and he’s ready to crush her. Unable to face him, Maka curses at the top of her lungs and runs off in tears. Tsubaki goes after her and finds her staring into the distance at the edge of the forest. Since Maka is still pissed off at Black*Star, Tsubaki relates how Black*Star studies before tests, yet still gets zeros. Opening up a bit, Maka feels that she can never match her soul wavelength to Black*Star’s, but Tsubaki points out that Maka and Black*Star have always gotten along and that friends can have times where they don’t understand each other. 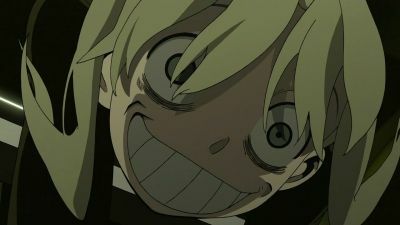 Remembering what Stein told her, Maka realizes what she had been missing and returns to the team. Along the way, she admits to Tsubaki that she had sometimes been jealous of Black*Star and has wanted to become strong like he is. She apologizes to him when she gets back, and he appears not to hold a grudge as the group resumes their training. The next time they try the team soul resonance, they succeed. Maka now knows that there’s no need to forcibly understand each other - they just need to recognize each other’s senses and believe in each other. Observing from nearby, Stein gives the group a passing grade and notes that their leader is Maka. Later that night as they’re heading home, Maka lets Black*Star hit her to make up for how she hit him earlier. He ends up smacking her hard, and though bruised, Maka laughs afterward. Meanwhile, over at Arachnophobia’s base, Mosquito and Giriko tell an army of men that BREW is Arachne’s, and they rallies everyone for war against Shibusen.